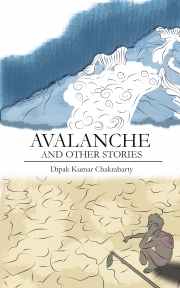 Description of "Avalanche and other stories"
AVALANCHE is the story of a soldier in the Indian Army. His uncle commits suicide because of crop failure. He himself is killed in a avalanche in the eastern Himalayas while guarding the borders and is cremated as a national hero. While the pension of his widow languishes in red tape, his father is contemplating suicide because of another crop failure and his younger brother is undergoing training to join the Army. In this and all the twelve stories of this collection, the author draws our attention to the hypocrisy of our political class and the rest of the society. Dipak Kumar Chakrabarty retired as Professor at the Indian Institute of Technology, Bombay. After a very active professional life, Professor Chakrabarty now devotes his time to writing. This is his sixth book and fourth of short stories. All his books are available at pothi.com. Professor Chakrabarty lives in Guwahati with his wife Jayantimala. Reviews of "Avalanche and other stories"